Cheap Garden Fences Can Be Attractive With Some Imagination! 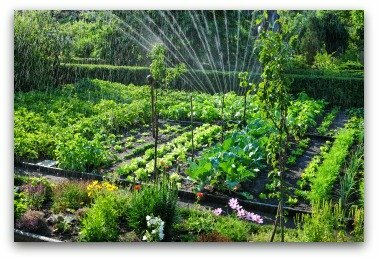 Looking for a few great ideas for building cheap garden fences for enclosing your vegetable plot? 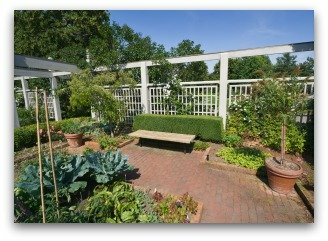 Here are a few good ways to plan and design a wooden, vinyl, metal, or a living fence for your vegetable garden. When it comes to preventing animal pests in the vegetable plot, garden fences can be your strongest ally. 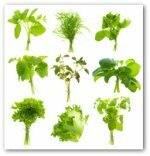 Over the years, savvy gardeners have resorted to a number of ingenious strategies in the battle against who or what reigns supreme in vegetable gardening. 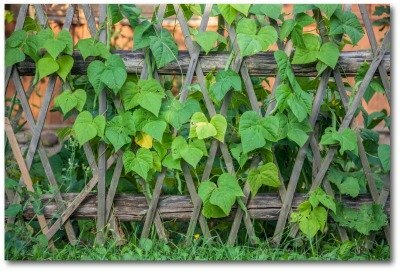 A Cheap Vegetable Garden Fence Doesn't Have to Look Cheap! The good news is it is possible to install successful preventative measures without spending a great deal of money. If you know from past experience or advice from neighbors that one or more animal species are likely to attack your plants, the best approach is denying them any access in the first place. It will be harder to deter an invasion once the critters get a taste for your produce! To control a pest problem, installing a barrier fence is effective in keeping the undesirables out. 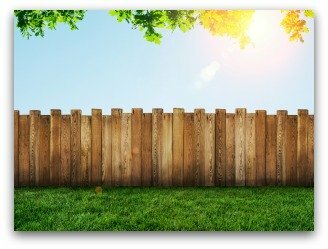 Erecting cheap garden fences are typically the best choice if you want or need to build a temporary fence that can be easily moved. An advantage to this type of fencing is that it does not require an extended amount of time or effort to be spent in construction as that of more permanent structures. 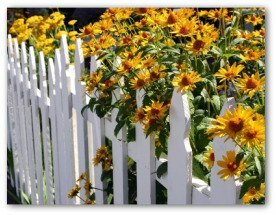 Inexpensive materials for building a garden fence include wood, vinyl, and metal or wire materials. Recycling materials already on hand, or looking for free or give-away materials in the newspaper or your local Craigslist can also help keep garden fence costs to a minimum. Living Hedges Make Cheap Garden Fences--But They Take Time! A living fence or hedge also works well to give your garden area some privacy and will keep out most unwanted pests. Privet and Boxwood shrubs are two of the most commonly used for evergreen garden hedges. But they take time to grow, so you may need to come up with a temporary cheap fence in the mean time! Fencing a small vegetable garden is relatively simple. Calculate the costs of cheap garden fences before beginning the fencing project to make sure the design stays within your budget. 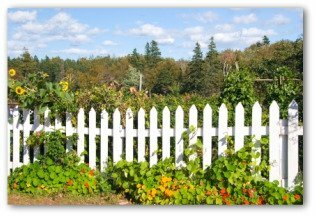 The size of the fence may vary depending on the type of pests you wish deterred. Some stages of vegetable gardening are not especially attractive. Once your garden has been harvested, the result is rather bleak in appearance. 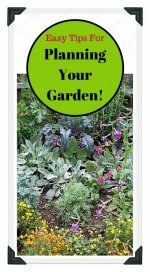 Adding mulch to prevent winter soil erosion, and to add some organic material to your vegetable garden dirt is hardly more attractive. Planting a winter cover crop such as hairy vetch to add nitrogen to garden soil will not offer much of a view either. 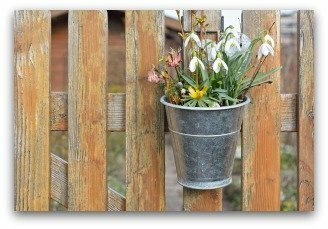 So, during the winter months, having an attractive (even if inexpensive) fence can be blessing. Building a fence is the best method for preventing larger animals such as deer from ravaging your garden. Deer can be a disaster to a vegetable garden plot. They naturally assume it is theirs for the taking! A couple of marauding deer can totally destroy a site in a single night. Deer are not picky eaters and will devour every plant in sight. Although, they exhibit non-discriminating taste, special favorites include corn and leafy crops. Cheap garden fences can be easily constructed of chicken wire and metal fence posts. 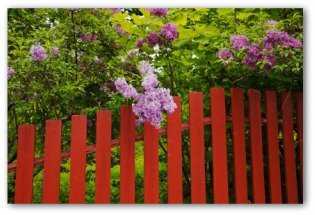 Attractive evergreen or blooming shrubs can be planted along the outside of the fence to add some eye appeal. To be effective against pests such as deer, the wire fence should measure five feet tall at the very least. 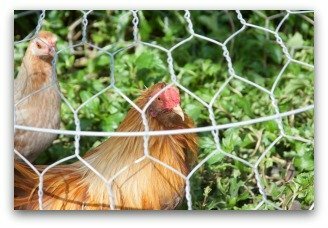 Chicken wire fences can be reinforced relatively easy with a single strand of electric fence if needed in your area. Using PVC posts is an inexpensive solution in setting up one strand of electric wire. Install electric fencing 2 ½ feet above ground level and three feet from the chicken wire. Deer have difficulty leaping high enough from a standing position to clear a 5' tall mesh fence, not withstanding electric fencing also blocking their intended pathways. For deterring smaller predators in the vegetable garden, a fence of small mesh wire or sheet metal can be extended about two feet below ground and one foot above ground. In lighter soils, sink fencing deeper than two foot. The best way to prevent burrowing animals from destroying your crops is by fencing them out with cheap garden fences. Surround the location with 5-foot pieces of chicken wire fencing that is erected so the vertical part is about two feet high. Bend the fence material into an L shape. Position the fence around the site with the short arm of the L standing upward and the long arm of about three foot rests at least one foot below ground level. Completely cover the long arm with soil. Burrowing animals will be stopped short when they run into the buried wire fence. Make sure the fence is of adequate height and use a fencing material with mesh spacing of less than two inches to keep out the unwanted intruders. 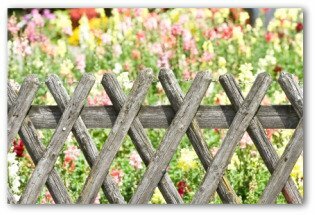 The actual design of your cheap garden fences ultimately depends on how much time and money you plan to invest.